The presence of stone and plants gives the place exceptional character. To achieve this effect, the volumes we propose are fragmented, arranged as staggered rows of hollows; this enables us to maintain the effect of depth which already exists. Our project also institutes a subtle dialogue with the existing buildings. It relates to them and incorporates them by fitting inside their limits, but uses different shapes to stand out from its historic surroundings. To the north, a planted patio slips in between the stone wall and the project, benefiting the consultation areas. 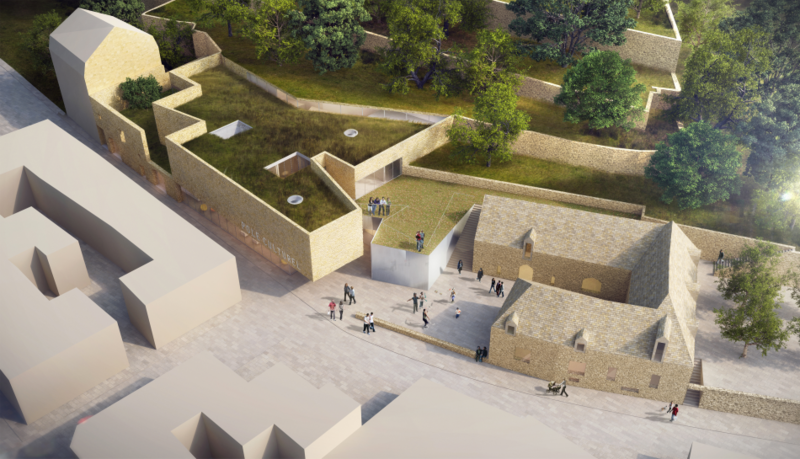 To the south, the music school closes off the arrangement, making the semi-covered atrium the federating area of the project. 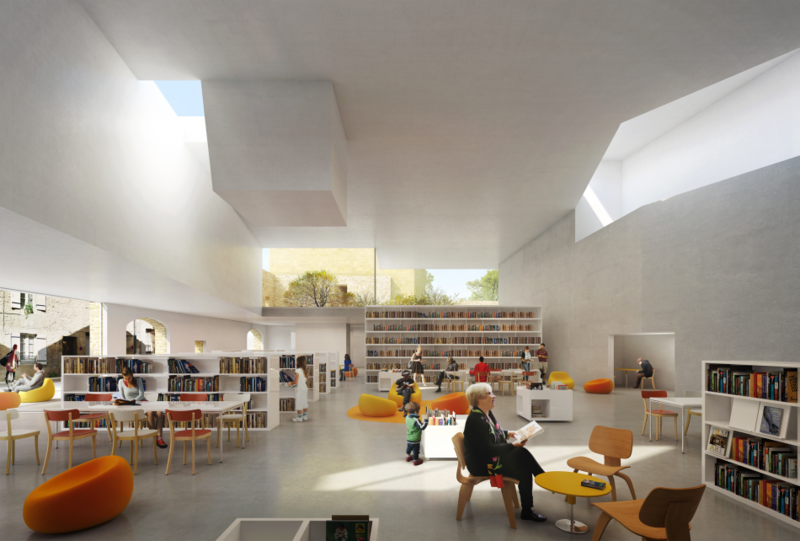 The main features inside the media library are transparency and natural light. Our aim is to make the whole extremely flexible. 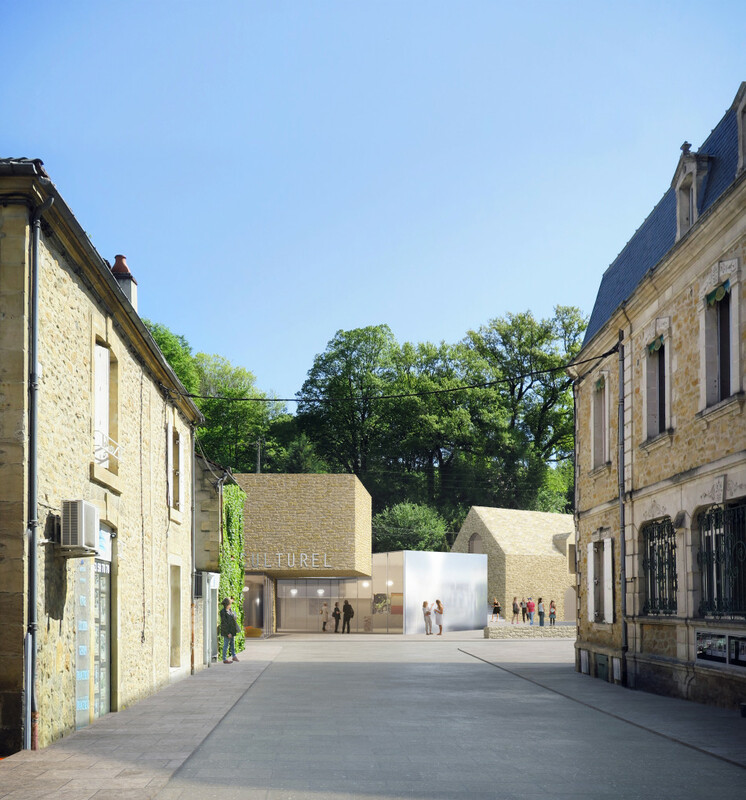 Sarlat stone is used for its texture, since it catches the natural light.